Tangible personal property consists of things that can be touched, like furniture, artwork and vehicles, according to the Judicial Education Center's Probate Judges Handbook. 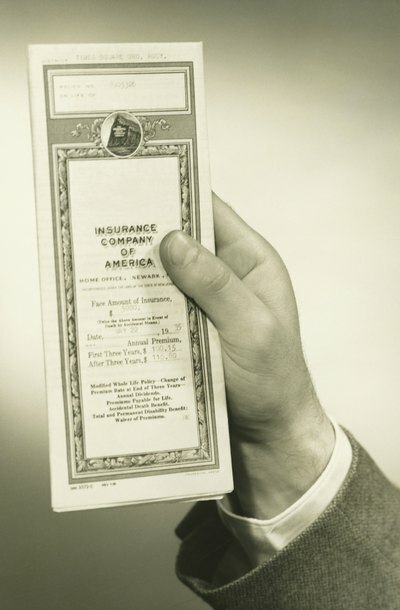 Insurance is a type of intangible personal property. Usually, insurance policies are not included in a will because they are paid directly to the beneficiaries when the policy holder dies. Most of a person's tangible personal property can be passed to beneficiaries via a will. Often, if the will distributes a great deal of personal property, a separate list of tangible items will be attached, naming the person who is to receive each item, according to the Offutt Air Force Base Legal Office. Tangible property that is jointly owned, like a car or house with two people's names on the title, will pass directly to the surviving person if the other dies without being included in the will. Most investments and other financial instruments are considered intangible property. Intangible property is owned, but cannot be touched directly, according to the Judicial Education Center's Probate Judge Handbook. Stocks, bonds, annuities, royalty payments, ownership of a copyright or trademark, and insurance policies are all examples of intangible property. Although the paperwork that creates the property can be touched, the actual value the property has is not a concrete thing. Intangible property may be passed via a will, or it may pass directly to a listed beneficiary when its owner dies. Insurance policies, especially life insurance, are a common element in estate planning. Many people use them to ensure that their beneficiaries will receive money after the policy's owner has passed away. An insurance policy that names specific beneficiaries, such as a policy that names the owner's spouse and child as beneficiaries, is not included in the probate process that governs a will. Instead, the benefits of these policies are paid directly to the beneficiaries listed as soon as the insurance company receives news of the policy owner's death, usually by receiving a copy of the death certificate. One benefit to using life insurance in estate planning in this way is that it provides funds for surviving beneficiaries to live on while the rest of the estate is in probate, which may take up to two years in some states. Usually, insurance policies do not go through probate. However, the benefits of a life insurance policy can be included in the probate estate if the person owning the policy so wishes. To include the proceeds from a life insurance policy in a probate estate, the owner of the policy should make the policy payable to his estate, rather than to a particular person or charity. Including the proceeds in the probate estate means that the estate's beneficiaries will have to wait until probate is complete to receive their shares. However, it may be useful if the proceeds are intended to pay the estate's final debts or if the policyholder cannot be certain his chosen beneficiaries will outlive him. Estate planning is meant to ensure that the right people get the right assets as quickly as possible. Wills and annuities are both tools used in estate planning to achieve those goals. Generally, annuities have no effect on wills. It is important to remember that estate planning is subject to the probate code, which is defined by state law. If you are planning your estate or are trying to probate another’s estate as an executor, you may want to consider hiring a licensed attorney to help you with that process.